"I gave some thought to the information and arguments you gave me yesterday," said Rosh, "in favor of allowing mining on NZ conservation land." “Brownlee had used the "greater good" argument. For the greater good, means for the benefit of the many." “Like a general, willing to lose a platoon defending national borders because the country will be saved. Taxes are not good from an individual point of view, but they are for the greater good of the nation." “Especially given that alternatives are available, though they might be a little bit more expensive, and that we already mine heaps on public land. What pressing economic reasons are there to encroach on conservation land? So that would be my line of questioning. What did you find were the main arguments against mining?" asked Rosh. “I’ve collected some quotes from the opposition," Josh answered, "which concisely sum up their arguments against. I’ll start with MP Jacinda Ardern, who in 2010 thought that the Government decision was shortsighted and dangerous." “The Government cannot simply bat away this issue with claims that community groups and the opposition are scaremongering. Why would the Government remove areas of the conservation estate from Schedule 4 unless it wanted to make it easier to mine them?” she had said." “Over the years there have also been concerns about harm to the economy, especially the country's "clean green" brand and the tourism industry, which is also one of New Zealand’s biggest industries and sources of income. It contributed $15 billion [or 9%] of the country's GDP in 2010, making it New Zealand's largest export industry." “So in 2013, MP Moana Macky, spokesperson for Science, Climate change and Environment of the Labour Party stated:"
"National has simply changed tactics in order to achieve its original intention of mining Schedule 4 land and is now progressing the activity under the guise of ‘scientific research’." "No company would be spending time and money investigating the mineral potential of this land simply out of scientific curiosity." “I am also not sure if the areas now targeted are of high conservation value or have other issues like being prone to debris flows and flooding." "I think that the Government has managed consultations with Maori and other stakeholders better this time, and hence there have been no widespread protests again, but concerns remain." "I’d like to end with a quote from Green Party MP Gareth Hughes, who said with regard to oil exploration: The risks of a deep sea oil spill are real and would affect all of us. I think the Government should give Kiwis a say." Josh thought a bit as he walked, then answered confidently, “I think the only real advantage would be our economy getting a big financial boost. Mining is a big industry in New Zealand. 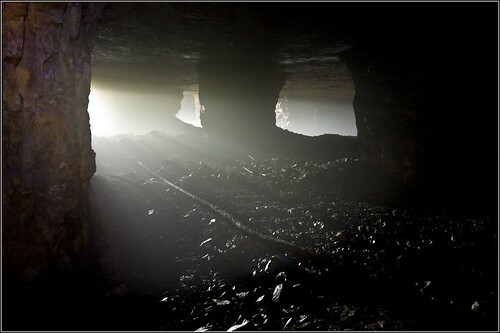 It ranked 22nd in the world for iron ore production and 29th for gold production." 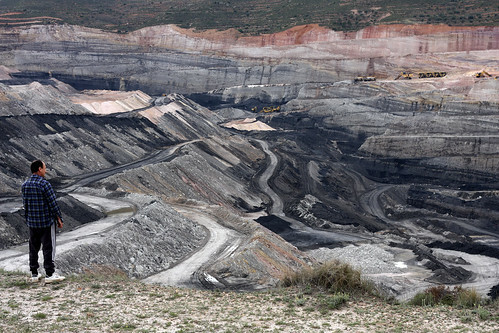 “Mining also releases carbon emissions into the atmosphere leading to epidemics such as global warming – and ultimately temperature increase, species extinction and many other problems like skin cancers. Another problem is Acid Mine Drainage - acidic water seeping out of old metal or coal mines." "This water decreases the pH levels in surrounding soil and water and effects life around it. Sludge can also come out of mines and kill surrounding crops." “Oil drilling is risky too as spills can ruin marine biodiversity of any area. They kill the ecosystem underneath the oil spill and kill the fish and birds too." "Our hands," said Josh smilingly, "And what are your views on the matter?" They walked back home, happy in each other’s company as they chatted all the way back about mining.